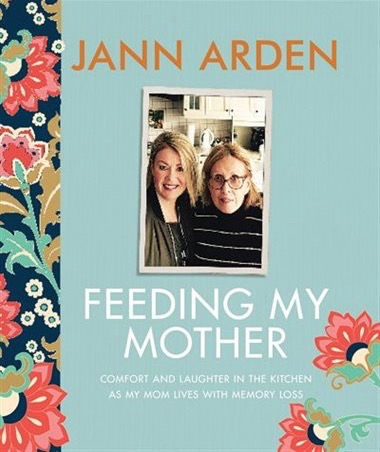 Jann Arden’s latest book, Feeding My Mother, is both a sobering and insightful memoir into the day to day emotions that go into caring for an aging parent. I have never read any of Jann Arden’s books before this. Now, I feel like I have some serious catching up to do. While nothing is sugar coated in Feeding My Mother , neither is it a heavy, drag yourself through it kind of read. Written as a series of journal entries – some long, some only a few words, interspersed with candid family photos, I can’t help but admire Jann Arden’s view on the world. Having read this book, cover to cover, in only a few sittings, I can only believe she inherited this ideology from her mother. How do you become your parent’s parent? How do you mother the woman who mothered you? I have often seen the women who take on this task become utterly defeated and exhausted under such an unimaginable load. Jann Arden makes it feel as if this is a task that can be accomplished. No, it is by no means a cake walk or an entirely enjoyable stage of life. But it does have it’s moments of joy and clarity. When something as crippling as Alzheimer’s crashes into your life, you have no choice but to strip away the unnecessary and focus on only what is immediately in front of you. The recipes that are sprinkled throughout the book are not award winning. What these recipes are is honest and simple, comforting reminders from a woman who is not a natural in the kitchen, for a woman who can no longer safely navigate her own home. Jann is nothing but blunt and honest. She uses coconut oil because of the faint glimmer of hope that it may help her mother. And at the very least, it can’t hurt. Her father has not always been the most lovable man. While he certainly was a driving force behind her musical career, it was entirely to escape him, rather than a result of his encouragement. Her older brother is in jail for murder. There simply is no sugar coating that. Feeding My Mother made an easy yet thoughtful read for me, someone who has only begun to see the caregiver role on the horizon. For someone who has already assumed full time caregiving, this would certainly offer a welcome refuge.